State lawmakers are finalizing their fall agenda. There’s only nine session days scheduled between now and Election Day. Lawmakers will try to spend as much time as possible campaigning in their districts. Democrats in the state House are hoping to hold hearings on the issues surrounding Michigan’s groundwater. Over in the Senate, Republicans are keeping the agenda open. Amber McCann is a spokesperson for Senate Majority Leader, Arlan Meekhof. She says the question of no fault auto insurance could come up. “It’s been an illusive problem for many decades in Michigan. But I think it’s on everybody’s radar,” McCann said. Detroit mayor, Mike Duggan, recently filed a lawsuit to have the state’s no-fault law declared unconstitutional. Detroit’s rates are among the highest in the nation. Sam Singh is the leader of the Democrats in the House. He says lawmakers should spend more time at the Capitol. Gideon D’Assandro is a spokesperson for the House Republicans. “The thinking is these people have paid their debt to society, they’ve gotten a skill, they’ve gotten a skilled trades job, they’re working to keep themselves out of prison, and the state should be encouraging them to do so,” D'Assandro said. Republicans in the House say they’ll still get done what needs to be done. D'Assandro aays the Legislature got ahead of schedule before they went home for the summer. But some bills that will likely come up in the House include one to get rid of the expiration date for certificates of employability for convicted felons. D’Assandro says lawmakers in the state House also plan to continue work on legislation to improve the state’s mental health system. 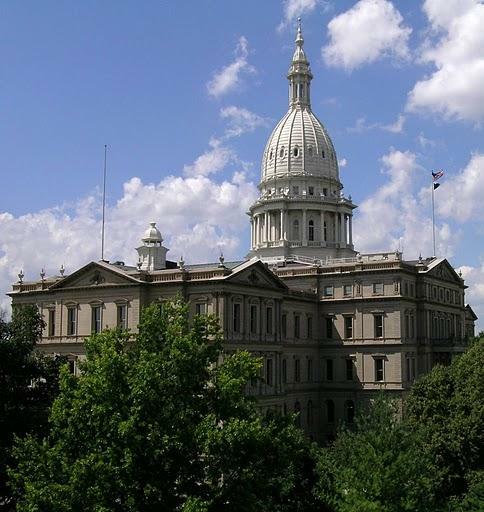 The Michigan Legislature will return from summer break next week, and Republicans are discussing the potential of adopting two proposals headed to the ballot this November.